Apt words for the new Storm winter line from Klim. 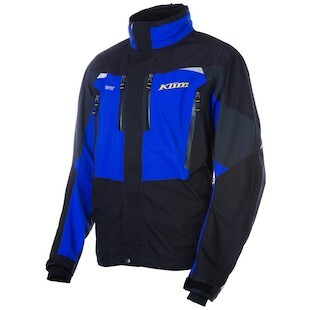 For some time now, Klim has been producing deliberate gear, which serves a deliberate purpose. Whether you find yourself venturing into the snow on the weekends, or like Thoreau, seem to never leave the wild, the Storm line has you covered. Akin to much of their motorcycle gear, the Klim Storm Parka gives you a Gore-Tex Performance Shell. This allows for the situational base and mid-layer building that is necessary for the diversity of winter. If you find yourself destination snowmobiling in the height of cold, simply batten down the vent closures, and build a performance insulating mid-layer. However, if you are chasing the last back-country snowfall, and spring is knocking on the door, the same vents can be left open too keep you cool and dry - even in the slushiest of conditions. 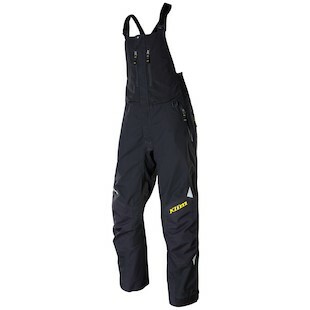 As this line has been updated for snow use, a traditional snow gaiter has replaced the pants-to-trouser zip system typically found in Klim’s motorcycle gear; this will be familiar territory for the veteran snow crowd. Directly complementing the Storm Parka, Klim presents the Storm Bib. These take Klim’s adventure purpose a step further. This will not be a trouser commonly seen in the trendiest of freestyle ski and snowboard parks. These are instead much more at home tackling uncharted territory, free of the distractions of the family ski-resort. Offering ample ventilation, paired with a Gore-Tex Pro Shell, the Klim Storm Bib serves as an eager passenger as you chase the freshest powder, and most challenging trails. At the end of the day, the Storm line from Klim is in it for the long-haul: Keep you warm in the bitter cold, cool in the late winter slush, and dry everywhere in between, so you can concentrate on what you set out to do. Live deliberately, and conquer the winter.